Exceptional quality service is what you will experience with BriX Projects. Our service promise to you is genuine, guiding the actions we take and the decisions we make, everyday. Safety is part of our culture; it’s integral to the way we do business and not just a set of rules we follow. Providing a safe workplace for our workers is our goal. 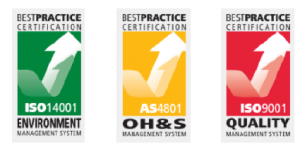 It is achieved by maintaining our certification to the AS/NZS 4801:2001 standard for Occupational Health and Safety Management, by our Workplace Health and Safety Manager monitoring our adherence to this system and working with our team and our clients to minimise safety risks, and through the continuous stringent training we provide for all of our staff. Continuous improvement drives our business. So, we welcome your feedback, both good and bad. As a true partnership, we’re always open to working with you to make your experience with BriX Projects the best that it can be. Our team has over 25 years’ experience in skilled labour hire and recruitment. What’s more, our sales representatives, recruitment consultants and labour managers have construction industry backgrounds, and our labour managers have also worked in a trade. So, they’ve worked on sites and know your industry and what’s required to deliver an outstanding result. They also understand the labour hire market in your sector and have the required insight to know who’s best for the role, based on years of experience. With nil invoice issues a key performance indicator for our team, they are a rare occurrence. However if issues arise you can expect a response and resolution within 24 hours. Maintaining the privacy and confidentiality of your information is a critical. Any information we collect to carry out our services, whether in person or by phone, mail or email is held in the strictest confidence, and never shared with a third party, except if required by law. Providing personalised, responsive service is our key promise. Always being there to take your call, or responding to an email for quick queries or longer consultations is what you can expect, whether during or after business hours, or on the weekend. And should your labour manager be absent for any reason, another labour consultant will respond immediately.